"ABC Ritz used to have live performances in the 60’s. 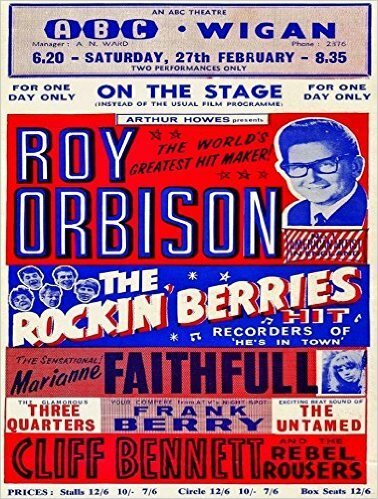 One of the acts was Roy Orbison. 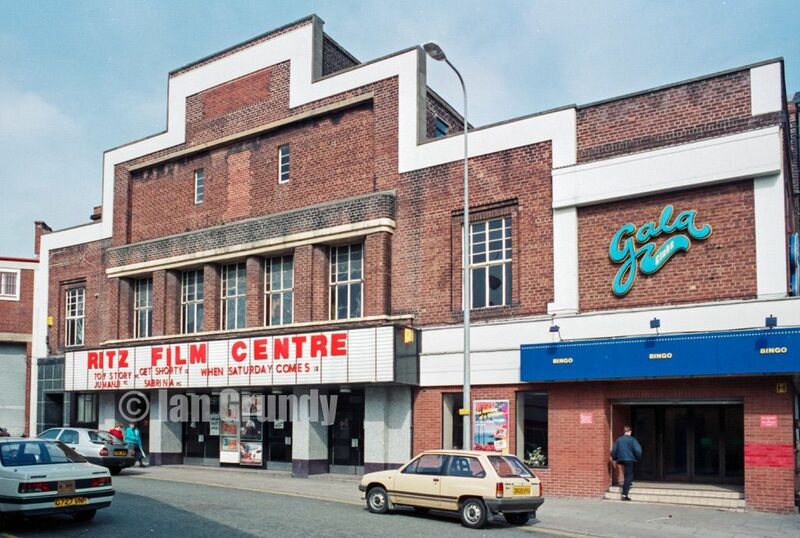 At the time I was living in Platt Bridge. My ex-wife worked at the Ritz as an usherette. Orbison stayed at the Brocket Hotel but because they were only just starting out as a band (they weren’t really famous), they couldn’t afford to put all the group up so my wife arranged for two of them to stop at my house. They were called the Orbison Wheels. It was quite good having a chat to them, you know"
They were what they called "package tours", where several top names would appear on the same bill. So I saw Roy Orbison, The Kinks, The Rolling Stones, Little Stevie Wonder and of course The Beatles. I wouldn't pay 6/- to see him tomorrow. My sisters went to many concerts there also, the Cilla Black one mentioned elswhere also The Beatles and The Kinks, Gene Pitney, Marianne Faithfull and a few others. The time Marianne Faithfull was appearing she came to Silcocks Fair in Ince during the afternoon, my sister spent some time with her there as did a few other girls, she said she was very good looking and a nice person. She bought toffee apples for some of them before going on the Waltzer. True that is. 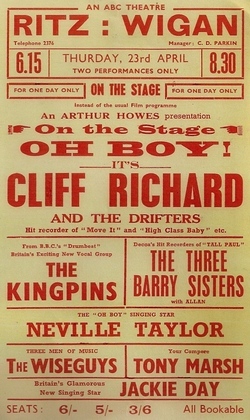 I saw Cliff Richard and The Drifters at The Ritz when I was a little girl. A lady who lived near us was related to an Auntie of Cliff's and she told him of this young fan, (me), and he sent me a signed photo, "To little Irene with lots of love from Cliff Richard". I had that photo until I was 18, and the council demolished our house and moved us to Platt Bridge, and the photo was lost in the move. x. 59 years on Saturday that Buddy Holly played at the Ritz. "The Ritz was opened in 1938 and, at its height, was a major performance venue, with 2,365 seats, hosting popular acts such as The Beatles, The Rolling Stones and Marc Bolan"
I saw the Stones there in 1964, Gene Pitney played there around that time too, he stayed at the Grande hotel.